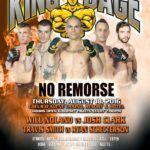 RANCHO CUCAMONGA, Calif. (July 6, 2015) King of the Cage will be returning to the Coeur d’Alene Casino Resort Hotel in Worley, Idaho on Thursday, August 20, 2015 for another action-packed evening of MMA fights. The main event in the 185 lb. 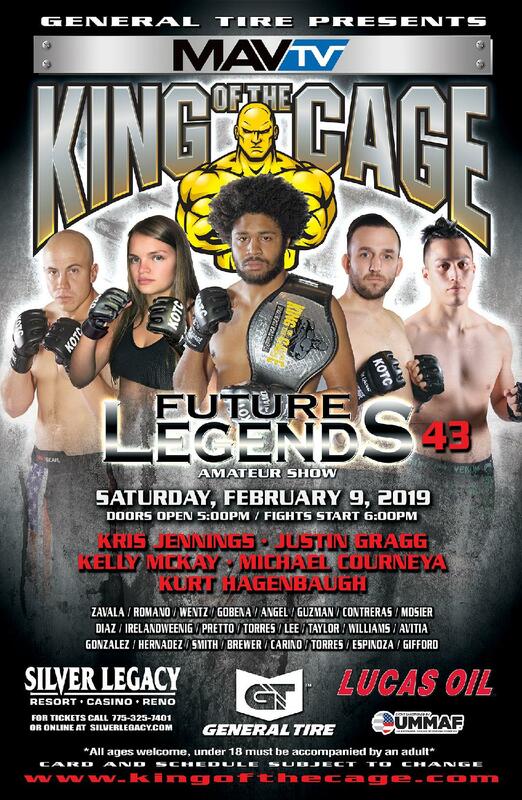 Middleweight Division will feature “Iron” Will Noland from Spokane Valley, Washington (Trevor Prangley’s American Kickboxing Academy) against Alfonso “Big Smooth” Gonzales from Tacoma, Washington (SNRG). Noland is looking for another shot at the Middleweight title. Gonzales is one of the top ranked Middleweights. The co-main event in the 145 lb. 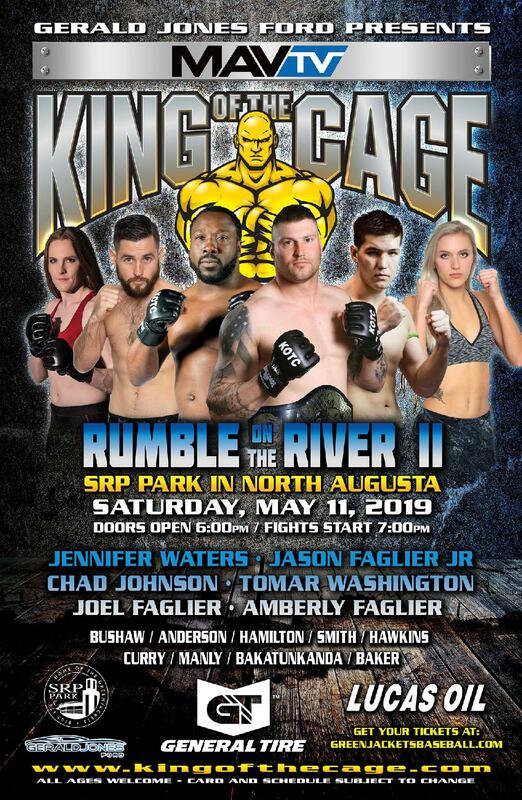 Featherweight Division will feature Austin Arnett from Lewiston, Idaho (Team Execution) who has an impressive record of 8-2, going up against Dustin Winter from Seattle, Washington (Midwest Martial Arts). Another featured bout in the 135 lbs. Featherweight Division will be Marc Coates from Lewiston, Idaho (Team Execution) battling Dylan Morgan from Spokane, Washington (Machado BJJ Spokane). Coates is undefeated in his professional career. 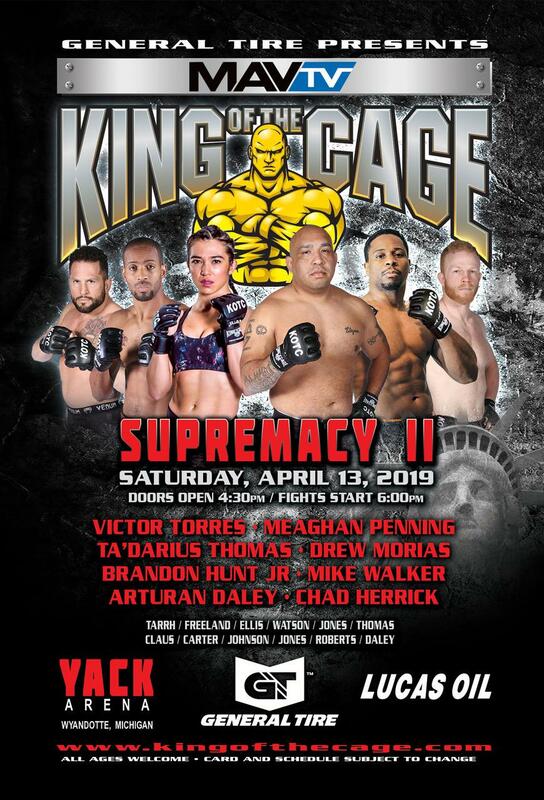 Other fighters appearing on the card will be Jacob Harkness, Nick Coughran, Travis Smith, Josh Solis, Zane Douglas, Luis Gomez, Jordan Currie, Jared Torgeson, Preston O’Neil, Jean Hegbloom, Justin Rodriguez, Tom Blixt, Matt Main, Taylor Pecha, Tracy Ides and more. Doors open at 6 pm. And fights start at 7pm. Reserve seating, VIP, and ringside tickets are on sale now. For more information or to purchase tickets, please visit www.cdacasino.com or at the Coeur D’Alene Casino Resort Hotel box office.